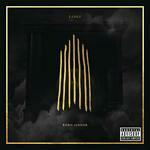 J. Cole’s Born Sinner jumps to #1 on The Billboard 200 after spending two weeks at #2. It’s the first album to move up to #1 (as opposed to debuting at #1) since Bruno Mars’ Unorthodox Jukebox, which rose to #1 in its 12th week in March. This is J. Cole’s second #1 album out of two releases. Cole World: The Sideline Story debuted at #1 in October 2011. Born Sinner has sold 439K copies in three weeks. That’s 8K more than Kanye West’s Yeezus, which was released the same week (and which debuted at #1 when Born Sinner bowed at #2). While it’s unusual for an album that debuts at #2 to ultimately outsell the album that debuted ahead of it, it happens occasionally. Imagine Dragons’ Night Visions debuted at #2 last September—12K copies behind Matchbox Twenty’s North. As of this week, Night Visions has sold 1,144,000 copies, nearly four times as many as North (292K). 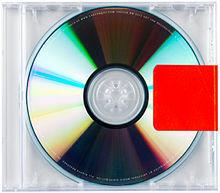 The biggest reason that Yeezus has gotten off to a slower-than-expected start is that it has yet to produce a bona-fide hit single. 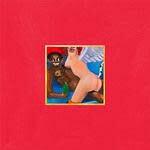 The highest-charting hit from Yeezus at this stage is “New Slaves,” which has climbed as high as #56 on the Hot 100. By contrast, the week that West’s sophomore album, Late Registration, posted first-week sales of 860K, “Gold Digger” (featuring Jamie Foxx) shot from #19 to #1 on the Hot 100. Likewise, the week that West’s third album, Graduation, debuted with sales of 957K, “Stronger” jumped from #2 to #1. The formula seems so simple: Just make sure you have a song at #1 on the Hot 100 the week you chart with a new album. Of course, coming up with an undeniable, universally appealing smash like “Gold Digger” or “Stronger” isn’t as easy as it looks. Five of West’s seven studio albums (counting his 2011 collabo with Jay-Z) have yielded at least one top 10 hit on the Hot 100. (Graduation and 808s & Heartbreak each generated two.) West’s last solo album, My Beautiful Dark Twisted Fantasy, was his first not to yield a top 10 “pop” hit (though it produced three top 20 hits: “Monster,” “Runaway” and “All Of The Lights”). Born Sinner sold 58K copies this week, which constitutes the slimmest tally for an album at #1 so far this year. 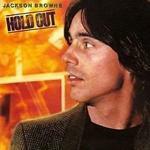 The last time the week’s #1 album sold so few copies was in July 2012, when Zac Brown Band’s Uncaged, which was also in its third week, returned to #1 with sales of just 48K. 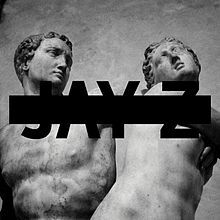 But the picture will brighten considerably next week when Jay-Z’s Magna Carta…Holy Grail debuts at #1 with first-week sales in the 495K range. This is the third week in a row that a rap album has ranked #1. Yeezus debuted at #1 two weeks ago. Wale’s The Gifted debuted at #1 last week. This is the first time that three or more rap albums have ranked #1 in succession since the summer of 2011, when Watch The Throne by Jay-Z/Kanye West, Game’s The R.E.D. Album and Lil Wayne’s Tha Carter IV were #1 in consecutive weeks. The current streak will extend to four consecutive #1 albums next week when Jay-Z’s aforementioned Magna Carta…Holy Grail debuts at #1. This is also the third week in a row that rap albums have locked up the top three spots. Cole (full name: Jermaine Cole) is the second artist with that surname to start his career with back-to-back #1 albums. Nat “King” Cole (no relation) hit #1 with his first two albums with The King Cole Trio in 1945-1946. Born Sinner jumps to #1 on Top Digital Albums. It sold 28K digital copies this week, bringing its three-week digital total to 225K. Florida Georgia Line’s Here’s To The Good Times rebounds from #8 to #5. It holds at #1 on Top Country Albums for the third week. It’s the first album by a duo to log three or more weeks at #1 on the country chart since Sugarland’s Love On The Inside, which spent six weeks on top in the summer of 2008. It’s the first debut album to log three or more weeks at #1 on the country chart since Scotty McCreery’s Clear As Day, which spent six weeks on top in 2011. Joe’s 10th studio album, Double Back: Evolution Of R&B, debuts at #6. It’s Joe’s sixth top 10 album (and his fifth in a row). He climbed as high as #2 with 2000’s My Name Is Joe and 2007’s Ain’t Nothing Like Me. Bruno Mars’ Unorthodox Jukebox, which rebounds from #13 to #9 this week, becomes the second album to sell 1 million copies in 2013. The first was Justin Timberlake’s The 20/20 Experience, which is up to 2,056,000. Jukebox has sold 1,007,000 copies so far this year, on top of the 480K it sold in the last three weeks of 2012. 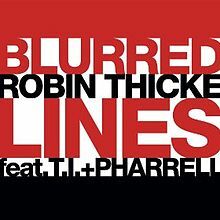 “Blurred Lines” by Robin Thicke featuring T.I. + Pharrell holds at #1 on Hot Digital Songs for the sixth week. It sold 423K copies this week. This is the third time its weekly sales have topped 400K. Only one other song in digital history (“Somebody That I Used To Know” by Gotye featuring Kimbra) has reached 400K in weekly sales three times. (Am I splitting hairs to point out that “Blurred Lines” is the first song in digital history to post weekly sales above 420K three times?) 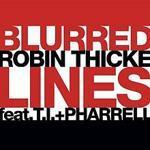 Will “Blurred Lines” also hold at #1 for the fifth week on the Hot 100? Count on it. But you’ll find out for sure out later today when we post Chart Watch: Songs. 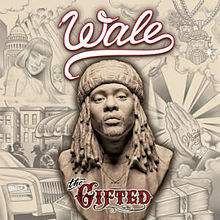 The Top Five: J. Cole’s Born Sinner jumps from #2 to #1 in its third week (58K)…Wale’s The Gifted dips from #1 to #2 in its second week (50K)…Kanye West’s Yeezus holds at #3 for the second week in its third week (39K)…Imagine Dragons’ Night Visions rebounds from #8 to #4 in its 44th week (36K). 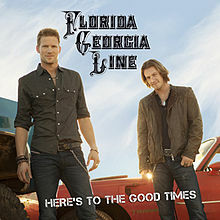 This is its 13th week in the top 10…Florida Georgia Line’s Here’s To The Good Times rebounds from #6 to #5 in its 31st week (32K). This is its seventh week in the top 10. The Second Five: Joe’s Double Back: Evolution Of R&B debuts at #6 (31K). It’s his sixth top 10 album…Daft Punk’s Random Access Memories drops from #5 to #7 its seventh week (28K). It has been in the top 10 the entire time…Macklemore & Ryan Lewis’ The Heist rebounds from #12 to #8 in its 39th week (24K). This is its sixth week in the top 10…Bruno Mars’ Unorthodox Jukebox rebounds from #13 to #9 in its 30th week (22K). This is its 20th week in the top 10…Blake Shelton’s Based On A True Story… rebounds from #15 to #10 in its 15th week (22K). This is its 12th week in the top 10. Four albums drop out of the top 10 this week. Skillet’s Rise drops from #4 to #11. India.Arie’s Songversation drops from #7 to #21. August Burns Red’s Rescue & Restore plummets from #9 to #49. Black Sabbath’s 13 drops from #10 to #14. Pitch Perfect jumps from #20 to #13 in its 37th week. 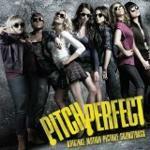 It’s the highest-ranking soundtrack from a theatrically-released movie for the 19th week. Anna Kendrick’s sleeper hit “Cups (Pitch Perfect’s When I’m Gone)” is #10 on this week's Hot 100. Relient K’s seventh studio album, Collapsible Lung, debuts at #16. It’s the group’s fourth studio album in a row to crack the top 20. (I’d hate to see Relient K’s list of possible album titles if Collapsible Lung was deemed the best of the lot. )…Hillsong Live’s Glorious Ruins (Live) debuts at #18. Bob Marley & the Wailers’ 1984 compilation Legend dips from #26 to #27 its 275th week on the chart. Legend holds at #1 on Top Catalog Albums. This is its 116th week on top of that chart (in the Nielsen SoundScan era). 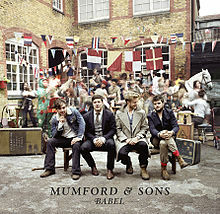 Mumford & Sons’ Babel holds at #30 in its 41st week. The album surges from #16 to #1 on The Official U.K. Album chart (after the band’s headlining appearance at the Glastonbury festival). This is its third week on top in the U.K. The album spent five weeks on top in the U.S.—three when it was released last fall and two more after it won the Grammy for Album of the Year. Babel is the first album to spend three or more weeks at #1 in both countries since Justin Timberlake’s The 20/20 Experience (which spent exactly three weeks at #1 in both countries). Kendrick Lamar’s good kid m.A.A.d city jumps from #33 to #32 in its 37th week. The album tops the 500K mark in digital sales this week. It has sold 959K total copies. Last week, Luke Bryan’s Tailgates & Tanlines topped the 500K mark in digital sales in its 99th week. It has sold 2,052,000 total copies. 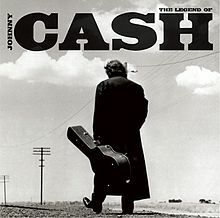 Johnny Cash, whose Legend Of Johnny Cash jumps from #96 to #87, this week becomes the third artist whose career dates to the 1950s to top the 25 million mark in album sales in the Nielsen SoundScan era. He follows Elvis Presley, who has sold 35,555,000 albums since 1991, and Frank Sinatra, who has sold 28,737,000 albums in this period. Cash first cracked what is now called The Billboard 200 in December 1958 with The Fabulous Johnny Cash. Presley first charted in March 1956 with Elvis Presley. Sinatra first charted in March 1946 with The Voice Of Frank Sinatra. Neil Diamond’s The Very Best Of Neil Diamond re-enters the chart at #117. The 2011 compilation has climbed as high as #45. Diamond performed his patriotic 1981 hit “America” on a July 4-themed TV special. Three music stars—trumpeter and A&M Records co-founder Herb Alpert, opera star Renee Fleming and New Orleans music legend Allen Toussaint are among the recipients of 2012 National Medals of the Arts. They’re scheduled to receive the honors from President Obama today (Wednesday) in a ceremony in the East Room of the White House. Alpert and the Tijuana Brass had three albums in Billboard’s year-end top 10 in both 1966 and 1967. Since 1956, only two other artists have had three albums in Billboard’s year-end top 10: Barbra Streisand in 1964 and John Denver in 1975. And those stars each did it just once. In Chart Watch: Songs later today, I’ll add song achievements for both Alpert and Toussaint. 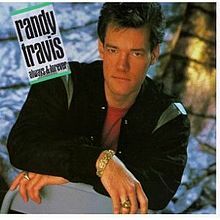 Randy Travis, who is in a Texas hospital being treated for viral cardiomyopathy, was the hottest artist in country music in the late 1980s. His 1987 album, Always & Forever, was #1 on Top Country Albums for 43 weeks, longer than any other album in the history of the chart to that point. (A decade later, Shania Twain’s Come On Over topped it, with 50 weeks on top.) Travis’ first five albums (discounting a 1989 Christmas album) all reached #1 on the country chart. His 1990 album Heroes And Friends was an early Duets-style album. Travis is listed in critical condition. I hope he pulls through. The Beatles’ Help! holds at #1 on Top Music Videos for the second straight week. Despicable Me 2 was #1 at the box-office over the weekend. Coming Attractions: As noted above, Jay-Z’s Magna Carta Holy Grail is a lock to debut at #1 next week, with first-week sales in the 495K range. Ciara’s Ciara will open at #2, with sales in the 55K range. Skylar Grey’s Don’t Look Down is likely to open around #8 (18K). Also due: Donell Jones’ Forever (10K).